From here the story could take many turns. When this guy is David Sedaris, the possibilities are endless, but the result is always the same: he will both delight you with twists of humor and intelligence and leave you deeply moved. Sedaris remembers his father's dinnertime attire (shirtsleeves and underpants), his first colonoscopy (remarkably pleasant), and the time he considered buying the skeleton of a murdered Pygmy. 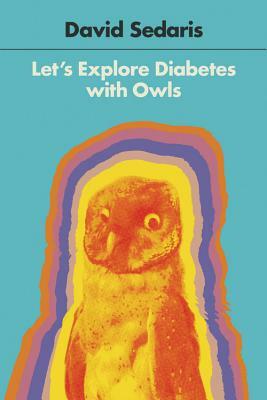 With Let's Explore Diabetes with Owls, David Sedaris shows once again why his work has been called "hilarious, elegant, and surprisingly moving" (Washington Post).